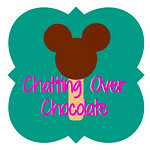 Chatting Over Chocolate: Nerd Block Jr. 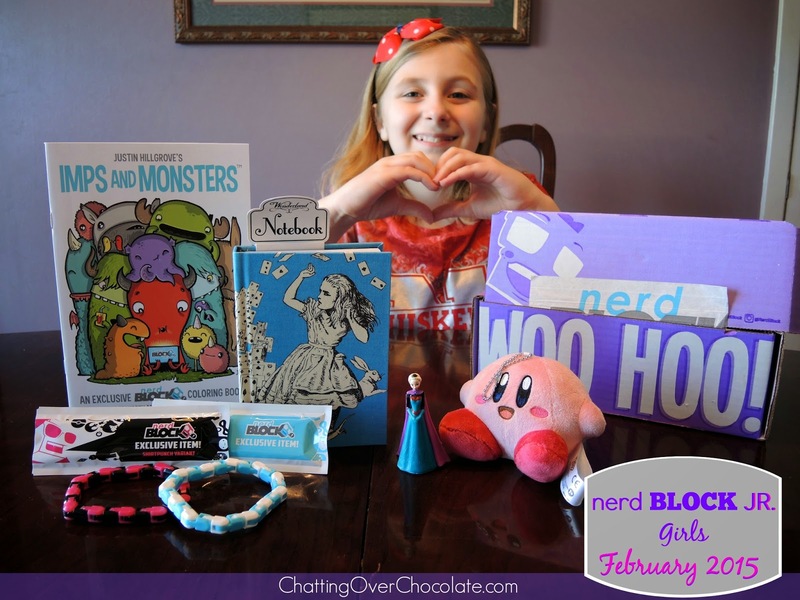 Girls February 2015 Subscription Box Reveal! 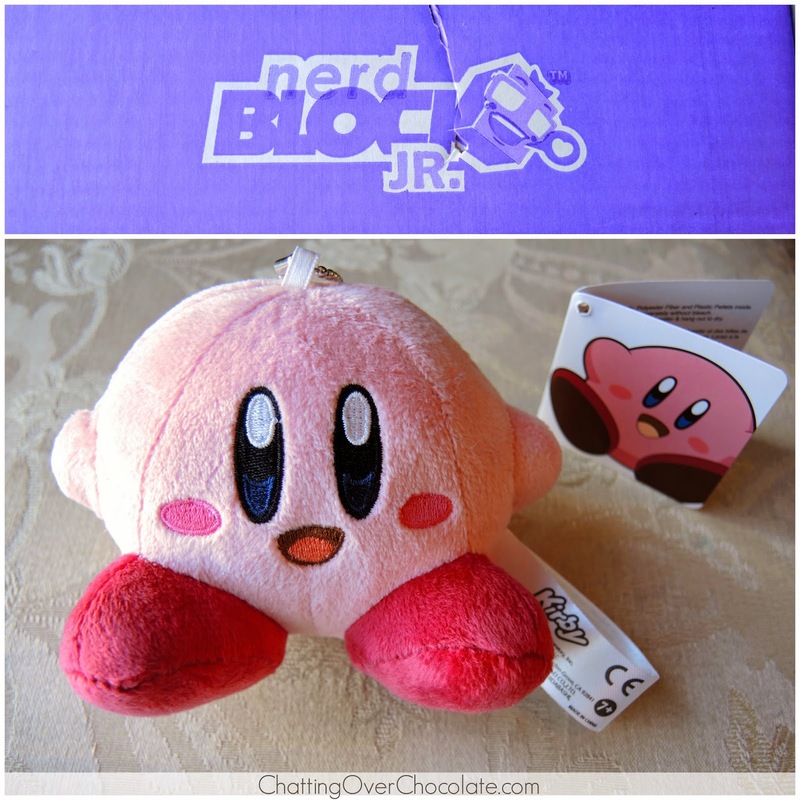 Nerd Block Jr. Girls February 2015 Subscription Box Reveal! 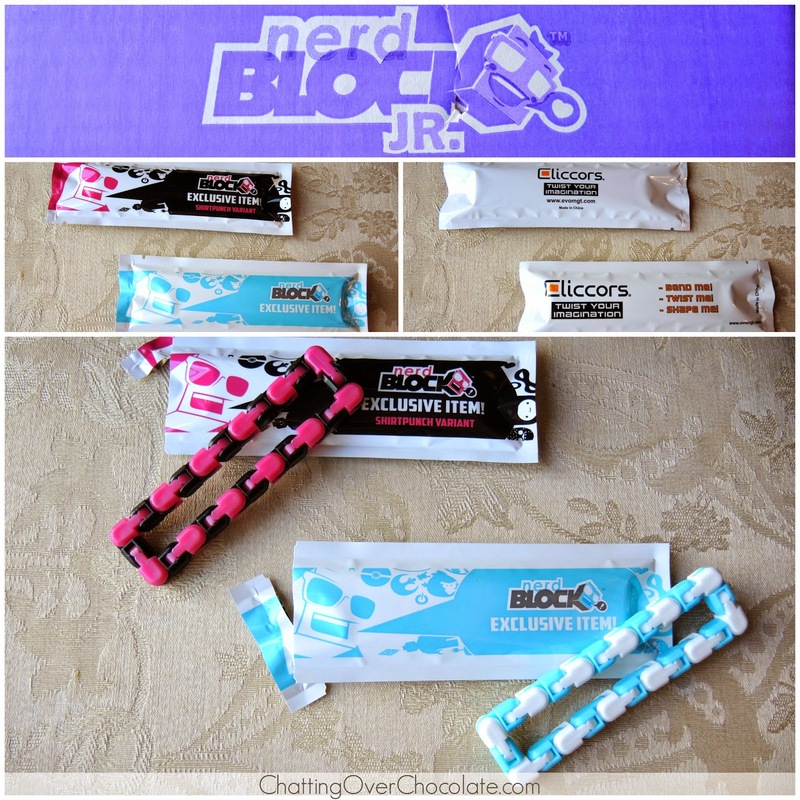 For Valentine's Day I ordered Little One her first mail subscription box, Nerd Block Jr. Girls! She was ecstatic when it arrived this week, and over the moon upon opening it! Today I'm excited to share its contents with you all! He's super adorable and snuggly! This lit'l guy was certainly one of the highlights of the box! You know girls everywhere were squealing over this lit'l toy! Need I say more? As the back of the packaging suggests, these are good for bending, twisting, and shaping. So far hers have been worn as bracelets, bent into diamonds, hearts, and even shaped as Tetris blocks! 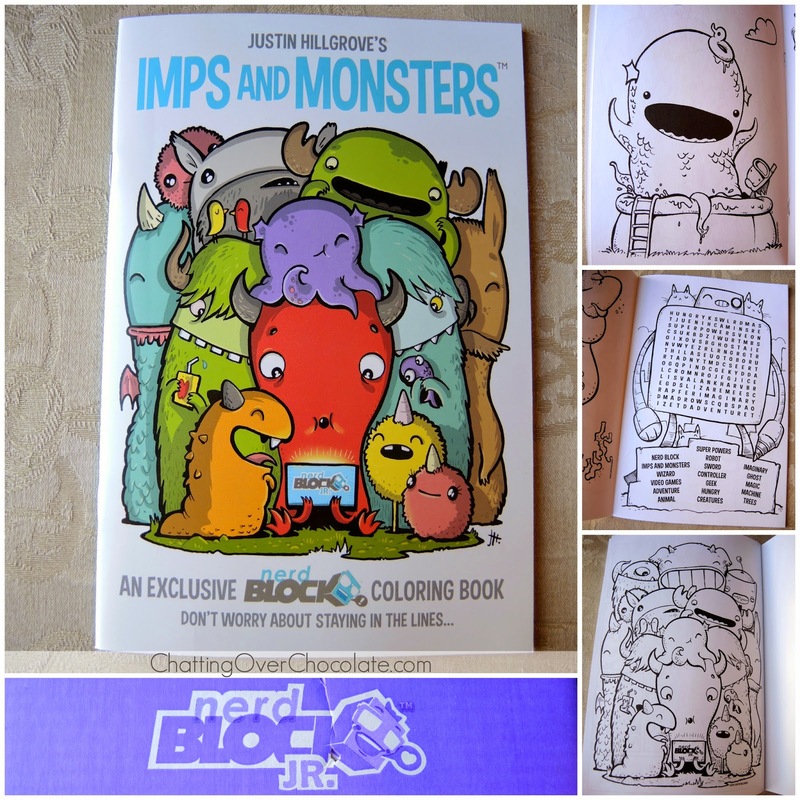 This coloring book features all sorts of cute monsters to color and games to play. I love the advice on the front cover, "Don't worry about staying in the lines..." I look forward to seeing this book come to life via Little One's crayon box! Overall, her reaction and love for the box's contents made it a fantastic gift! It was every bit as fun for me as the gift giver to watch her open it as the items inside were a surprise to me as well! 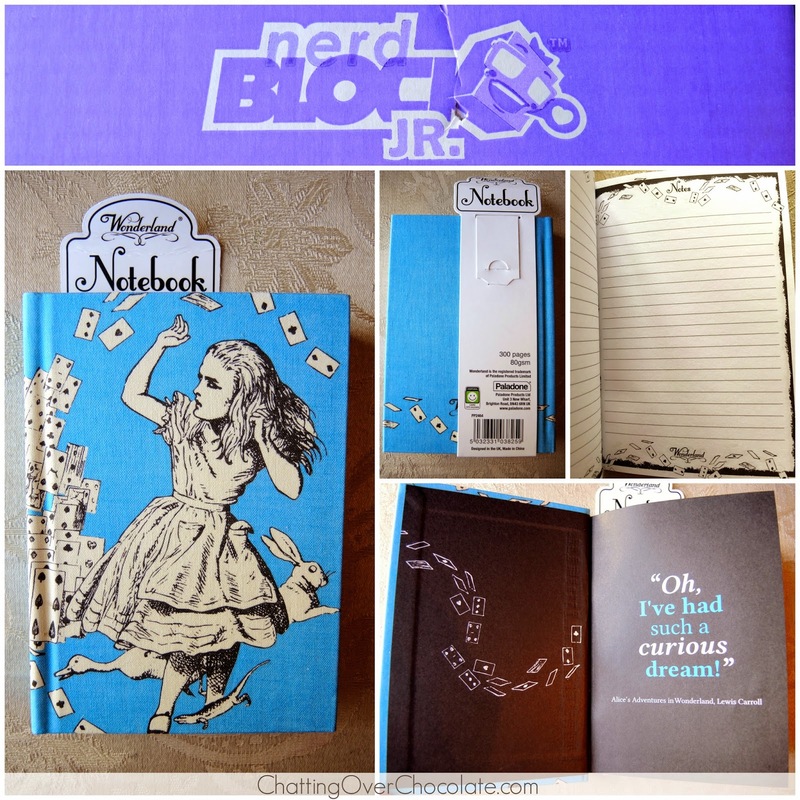 Nerd Block offers a variety of boxes, ranging in price from $13.99 to $19.99 per month. 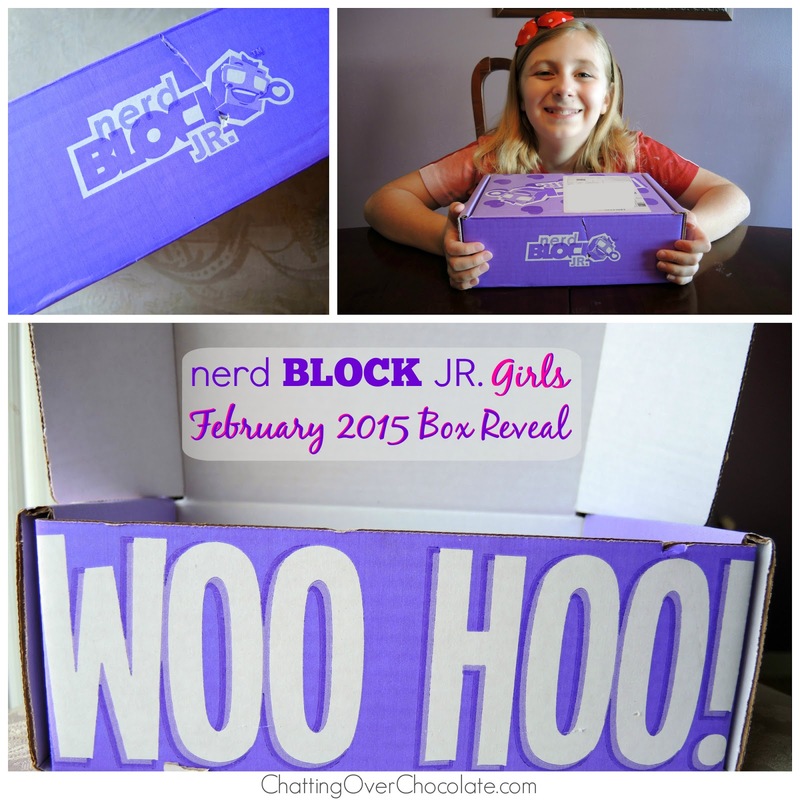 The Nerd Block Jr. boxes are available in both girls and boys editions for $13.99 + shipping. (It ships from Canada, bringing the total cost close to $20 for us here in the States.) To see the other boxes available through Nerd Block you can visit their website at NerdBlock.com. Thanks for stopping by! It makes my heart happy to have you here! SO fun!! I want to see the other boxes also!! We aren't "nerds" here...but this makes me want to be one..such neat little things in there!! The only thing I recognized was Elsa..ahahahahahahahaha. What a fantastic idea!! 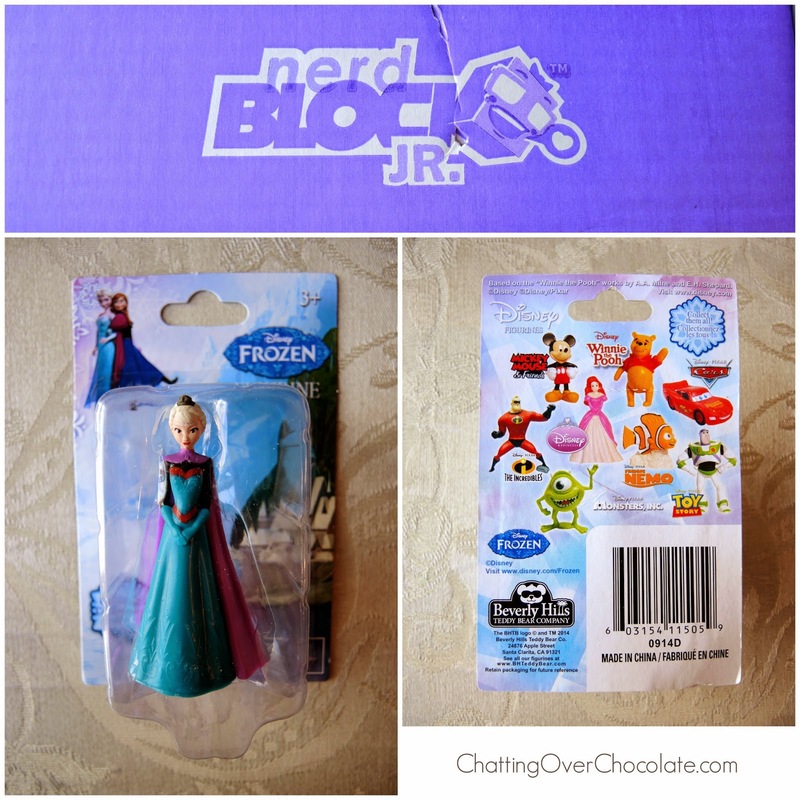 I never thought about subscription boxes for kids, but I just love this!! I think I know what we will be getting our goddaughter for her birthday this year!